Almost a year after announcing its plans, the Raspberry Pi Foundation debuted its official touchscreen for DIY hardware hackers priced at $60. 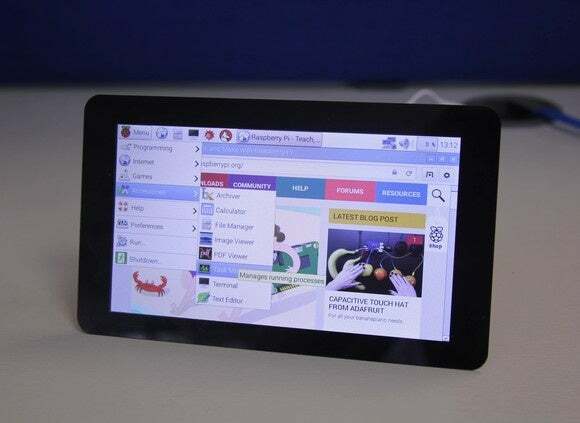 A year after it was first announced, the Raspberry Pi touch display finally launched on Tuesday. The new component means Raspberry Pi hackers can now experiment with an officially sanctioned 7-inch, 800-by-480, 10-point multi-touch LCD display for their Pi projects. The $60 touchscreen does cost more than the Pi itself, but that comes down to component costs. 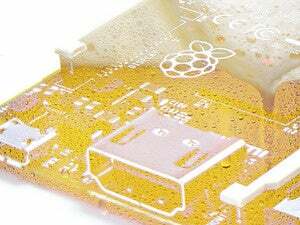 The screen uses a display serial interface (DSI) and digital parallel interface (DPI) that requires a driver board to interface with the Pi. The display also requires its own power connection, which can be shared with the Pi over USB. The connection between the Pi and the driver board relies on the DSI interface leaving the Pi’s HDMI port free to power a second display. You can read all about the display adapter decisions on the Raspberry Pi Foundation’s blog. When you first get it, the display will also require a bit of assembly since the driver board and a few cables need to be connected to the display first. Future versions of the touchscreen will come already assembled. The impact on you at home: You can definitely find cheaper displays, but typically not at this size or quality. The new Raspberry Pi touchscreen is available now from the Foundation’s Swag Store, as well as a limited number of Raspberry Pi suppliers. More retailers will get the touchscreen later in the week. The new touchscreen works with Raspberry Pi 2 model B, Raspberry Pi B+, and Raspberry Pi model A+. The new screen also requires the latest version of Raspbian to work correctly. The group wanted a display that would offer quality color reproduction, high-quality pixels, good contrast ratio, a solid viewing angle, and relatively affordable price. There was also the consideration of finding a manufacturer that could be counted on to deliver the same display for a longer period of time. “We can’t just buy a display that’s used in your standard iDevice, because it is likely to be canceled when the iCompany decides to move to another manufacturer,” Hollingsworth said. In the end, the company went with a display that supports the 800-by-480 resolution at 60 frames per second, 24-bit color, and offers a 70-degree viewing angle. This story, "Raspberry Pi gets its first official touchscreen display" was originally published by PCWorld.